LinkedIn is the premier place for enterprise technology professionals to gather, connect with one another, share ideas, and network. If you are a business person who works in the big data or business intelligence market, or you’re just looking for additional insights into what the smartest in the space are talking about, LinkedIn professional groups are a great place to start. As a result, we’ve compiled a list of the top 10 forums to join to discover new insights, best practices and learn which software tools the experts are using in their daily operations. This is one of the premier communities for expert professionals and organizations researching the convergence of Big Data Analytics, Data Discovery, Hadoop, data warehousing, the cloud, unified data architectures, visualization, and Business Intelligence. The forum is filled with Hadoop developers, data scientists, business analysts, and business leaders who leverage data to gain valuable insights. By bringing stakeholder communities across a variety of industries together in one place, the discussion tends to be varied, but very well worth joining in on. Big Data and Analytics is another one of the top-tier groups for enterprise professionals looking to share ideas with one another. Group members join to discuss industry news, their own personal opinions, the latest and greatest in Big Data and analytics tools, and the best events and conferences to attend. Created to house LinkedIn’s Data Mining professionals who are looking to expand their network of professionals to share ideas with, users are encouraged to discuss methodological issues, as well as talk about their experiences using different software technologies and storage mediums such as relational databases and Hadoop. Members also use this space to share interesting upcoming conferences and job openings. The Big Data professionals network plays host to perhaps the widest variety of enterprise business professionals on the LinkedIn network. As a result, the conversation typically bounces from one place to another. This is a great forum for sharing material or attempting to solve a business problem that lies in several different verticals, as there’s usually a member who’s an expert on the subject matter. With the way enterprise technology has converged in recent years, this group is certainly ahead of the curve. Business Analytics is a more defined group than the ones listed above, playing host to those business professionals who deal in the world of Big Data, Business Intelligence and AI. 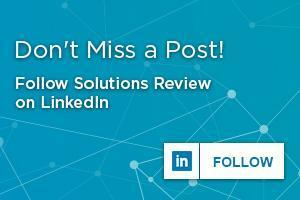 With over 112,000 members, the forum is one of the most populated LinkedIn professional groups, and a place where users can explore conversations that members are having with one another on topics that are relevant. From Data Integration to Data Management, this group is a must-join for any data professionals looking to expand their horizons. This group is for professionals to connect with one another to discuss data warehousing, Big Data, Hadoop and Predictive Analytics. This forum welcomes data warehouse job recruiters, which is a rarity among LinkedIn’s professional networking forums. Other topics that take center stage within this group include Data Integration (ETL), conversation surrounding the top Business Intelligence software tools, open-source data architectures, and data science. This group was designed to build a network where data professionals involved in data warehousing, Data Management, Business Intelligence, and Data Integration could unite to share ideas. The virtual forum leverages all the most common data warehousing techniques to help users exchange experiences and ideas to increase their bases of knowledge with these tools. All data warehousing professionals are encouraged to join this group and get to networking. This is a group for Data Analytics, Data Mining, and data science professionals and researchers who are interested in solving real-world problems. As part of the KDnuggets network, the forum is backed by a popular Twitter account and bi-weekly email list. Though the forum only has 18,000 members currently, it remains active and engaging, with its users regularly posting some of the most informative content of any of the groups on this list. BI Connections is a growing but well-known group for analytics professionals on LinkedIn. Like KDnuggets above, BI Connections also has a companion Twitter account which touts more than 20,000 followers, and the administrator is not shy about sharing content relevant to its subscribers. The forum puts an emphasis on the human elements involved in Business Intelligence and Information Management to extend the full potential of data and business empowerment. 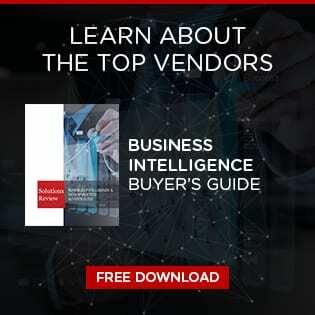 Cleverly named, the Business Intelligence group is the most targeted to BI professionals on LinkedIn’s channel of professional business forums. The moderators welcome technology users and consultants to share interesting articles and network with one another to find the right contacts to make your next BI initiative a successful one. 39,000 members is nothing to sneeze at, and given how targeted the user base is, there’s sure to be lots of great information within to help you along your way. There you have it! The top 10 LinkedIn groups for business intelligence professionals. Join the discussion!